With professional teachers accompanied by river and mountain guides, students will be able to participate in an amazing fourteen day outdoor educational experience. The program is delivered by a caring team of professionals who promote a healthy lifestyle through proper nutrition and outdoor fitness. Students will experience whitewater canoeing and rafting, lake canoeing, hiking, mountain biking, rock climbing, rappelling, wilderness living and more. There is no better way to accomplish summer high school credits in Alberta! 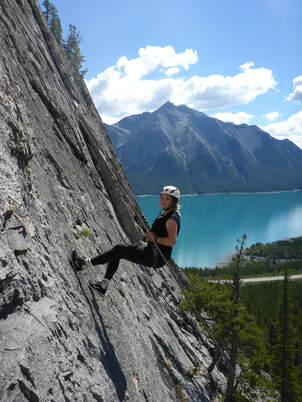 For additional information on pricing and the Alberta summer high school credits covered please proceed to the Mountain Adventure School Website or call 780-455-8344. Check out the Mountain Adventure School Facebook page for pictures and videos of past sessions!